From Rte. 219 / 56, exit onto Scalp Ave. heading south. Turn left onto Eisenhower Blvd, go to the top of the hill. Turn right onto Budfield street (first street to the right at top of the hill), go to the water tanks. At the tanks there is a dirt road to the right leading down to the electrical station. 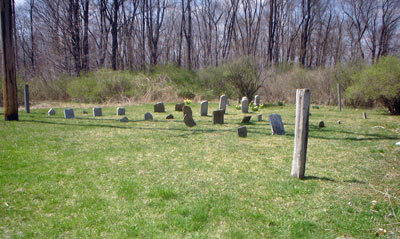 The cemetery is located near the station.